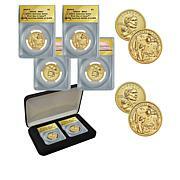 Celebrate "new money" with this special collector's set. 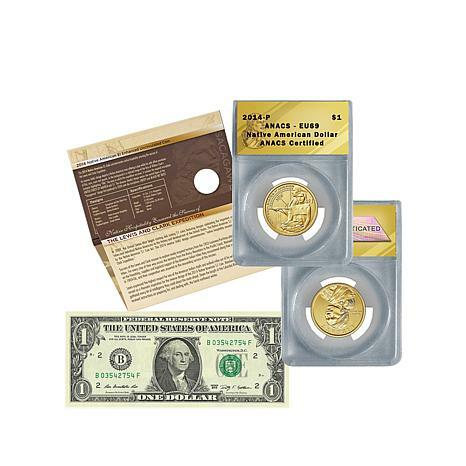 It features a 2014 Native American dollar and a crisp new dollar bill note, both in original government packaging. 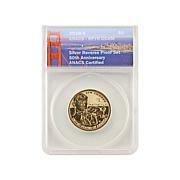 Commemorate a special event from the year with this handsome collector set. The coin is very nice with great color and unique look. Item was delivered very quickly and with the option to pay in full or 3 payments make it very easy to get the items you want. Good value, I just wish I had purchased more than one. Originally missing part of the order, HSN corrected the problem and the whole package was worth the wait! 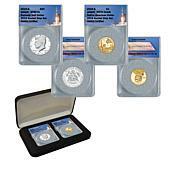 Beautiful coin and presentation package! 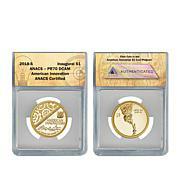 I was Happy to Find & Get The 2014 Certificate Coin EU69 & THE $1. Bill Set,expecially on FlexPay.But right at 30 Days I found Them in NGC SP69 ER Same 2014 Set for ONLY $99.77 & FREE Shipping.This is not Right HSN, WHAT'S UP?? ?